Our Philosophy is simple: Over 25 years ago we realized that people really didn’t want to waste time at the dealership, be burdened with negotiating prices, or be surprised at the last minute with hidden charges. That’s when we came up with “Clean Deal Buying”. You get our fair, low price right up front, on our website and on the lot. Plus you can save even more time with Buy Online – Skip the paperwork and work your deal online! Our low Internet Market Value Price is set by the Virginia Market, not by us. We poll over 20,000 websites hourly to calculate the best, low price for every vehicle. 100% transparent Internet Market Value Pricing and non-commission sales team means no hassles, no haggling, no surprises. Together, we call it First Team’s Clean Deal Buying Experience. It’s the Fast, Fair, Easy and 100% transparent way to buy and maintain your next new car! A New Faster, Easier Way to Shop: Buy Online! 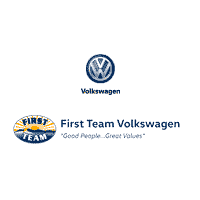 First Team makes your car buying experience easier and faster than ever! Now you can choose your offers, calculate your payments, apply for credit, value your trade and submit your deal right here on our website…saving hours at the dealership! Your online deal includes all availalbe incentives, options, taxes etc. so you get a real price, real payment. Look for the “Buy Online” banner on each vehicle’s detail page to get started. First Team’s Clean Deal Buying Experience begins with iMVP – Internet Market Value Pricing. You get a great low price on new vehicles- our low price right up front, set by the Virginia market, not by us. With iMVP, First Team uses a third party source, Kelley Blue Book’s Fair Market Value to automatically set our prices. No hassles, no haggling, no surprises! We believe in 100% transparent pricing. That means no games, no gimmicks, no pressure, no surprises. There are no hidden charges. We make it clear that our Volkswagen prices exclude tax, title, license, freight, and $647 processing fee, and that offers may be contingent on credit approval through our lenders. We will provide you with a detailed report of all expenses and make sure you understand exactly what you are getting and what you are paying for before you sign. Our no-pressure, non-commission sales team members are here to help you find the vehicle that’s right for you, and your budget. If you’re not completely satisfied with your purchase, our 48-Hour Bring It Back Program allows you to exchange the vehicle within 48 hours for another model. And since we want to help make sure your investment stays in top condition, First Team offers Values for Life, with your engine and more covered for life, and our Lifetime Parts and Labor Guarantee… never pay for the same repair twice. We back our low prices with our exclusive $500 Low Price Guarantee. Just bring in a current bonafide offer from a Central or SW Virginia dealer showing an exact in-stock New vehicle for less than our lowest price. We will match their price, or give you $500. We reserve the right to buy the vehicle. See any salesperson for complete details. Buy with peace of mind: If for any reason within 48 hours (actual time) of your purchase you decide that you would prefer a different vehicle, just “Bring It Back” and select another automobile from our inventory. When you service your vehicle at First Team, you’ll get the benefit of our Lifetime Parts and Labor Guarantee. Never pay for the same part or repair twice – we guarantee our work for life. Your oil changes, engine and more, covered for life! We believe in providing our customers added value during and after the sale. That’s why First Team offers Values for Life on most of our new and pre-owned vehicles. When you buy a vehicle from First Team, you can receive these services for life. All included as long as all manufacturer’s suggested service is performed at First Team. That’s what good people, great values is all about. Values for Life Program: *As a reward for having all manufacturer’s normal scheduled maintenance performed at First Team at owner’s expense. Oil changes covered at manufacturer’s normal recommended intervals. Additional service required for severe condition scheduled maintenance is not covered and will be at owner’s expense. Program not available on commercial, diesel, Value Select used vehicles or high-performance vehicles. Other exclusions may apply. **Available when being serviced at First Team. Offers provided by Values Guaranteed, LLC, not First Team, inc. See dealer for written program details. The First Team Volkswagen Internet Market Value Price (iMVP) shown excludes tax, title, license and $647 Processing Fee. Prices/payments are with approved credit through VCI and include all factory customer and dealer incentives and rebates including VCI dealer cash and owner loyalty or conquest cash; owner loyalty and conquest cash cannot be combined.